The A2 Barcelona Lleida dual carriageway – exit 558 (Igualada East) or exit 555 (Industrial Estate). Both exits are signed to the Rec district. There is one big car park in the University Area connected by free bus to Rec district. There are also pay car parks in the town centre, a minute’s walk from the Rec district. There are blue parking zones in the town centre, a minute’s walk away. Train departures: Pl-Espanya Barcelona. Journey time: 1.20 Station location: the stop is twenty minutes from the Rec district. The city bus runs every twenty minutes (Monday to Friday, every thirty minutes on Saturdays) from the railway station to Plaça de la Creu (next to the Rec district). 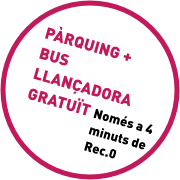 * From Barcelona: There is a bus every thirty minutes (timetables here) with three stops in Igualada. The Bus Express option is the quickest and most direct and takes forty-five minutes. To reach the Rec district, we recommend you get off at the second stop, on Passeig Verdaguer. 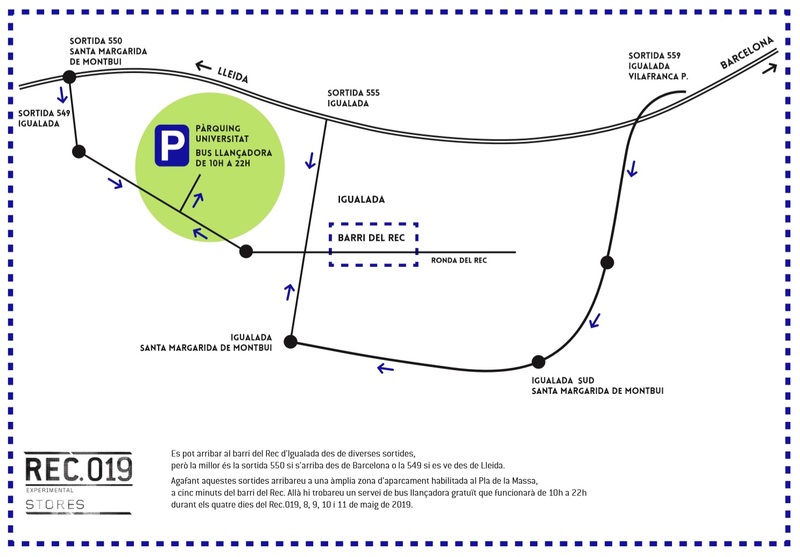 Next, cross the Plaça de Cal Font and the Rambla until you reach the Rec district (five minutes on foot). From Barcelona the bus is the quickest option. * From other towns: consult the timetable here.